Hot chocolate is our passion and we only select the very best flavours and blends, absolutely no powder is allowed only real chocolate. 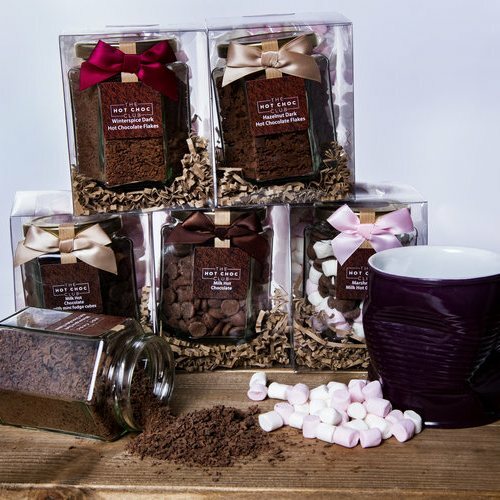 We have selected a variety of luxurious flavours and blends that are beautifully presented within a glass jar. 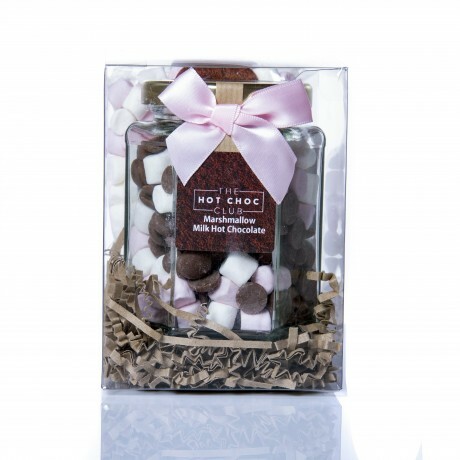 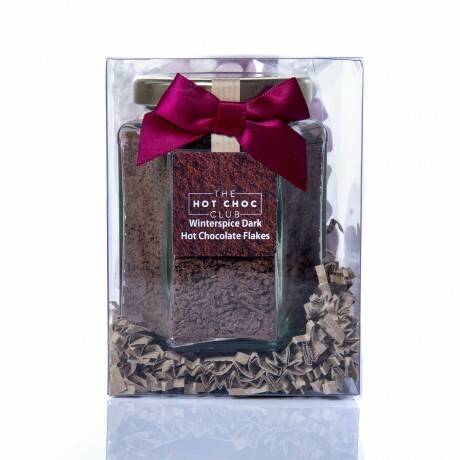 Each jar is boxed and contains marshmallow toppings, making a great treat to sit back and relax with or as a gift for any hot chocolate drinker. Each jar makes between 5 and 7 mugs of yummy hot choc.